While your Setmore Booking Page can function as a standalone website, it's also helpful to embed your Booking Page on your business website. 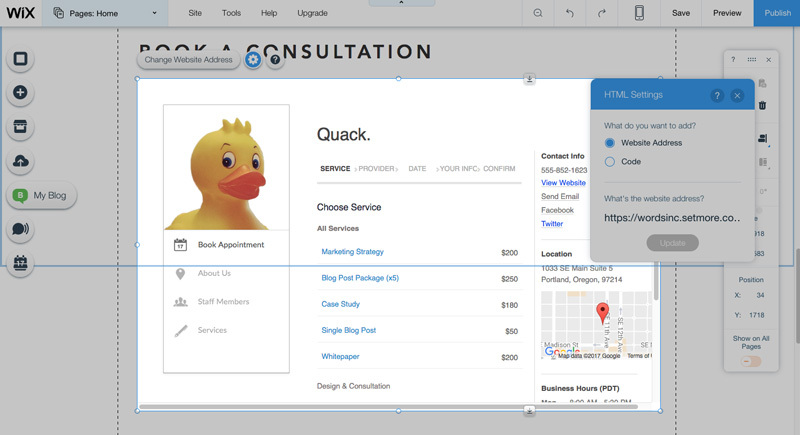 This ensures that your returning customers and first-time Google searchers have an easy and convenient way to book appointments with your business online. 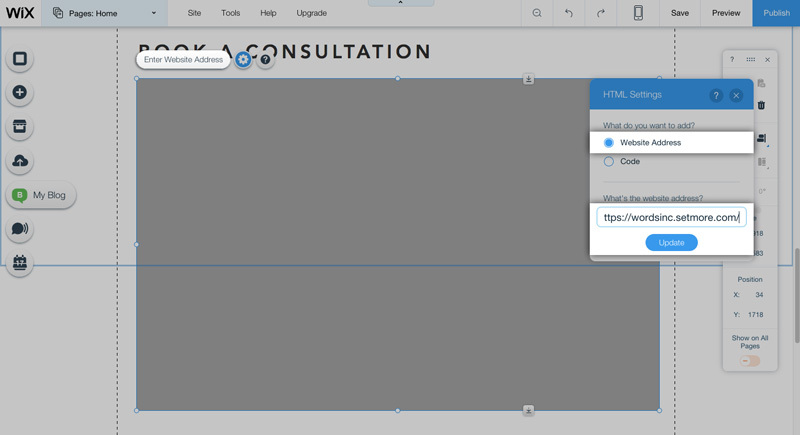 Using Wix as your website builder, it's a simple process to add your Setmore Booking Page to your website through the iFrame/Embed tool. This guide offers step-by-step instructions for setting it up. 1. In your Setmore account, navigate to Apps & Integrations and scroll down to the Wix integration card and click on it. 2. In the details window, find the form field titled "Your Booking Page URL." Click the "Copy" button next to this form field. 3. Now open Wix in a new browser tab and log into your account. 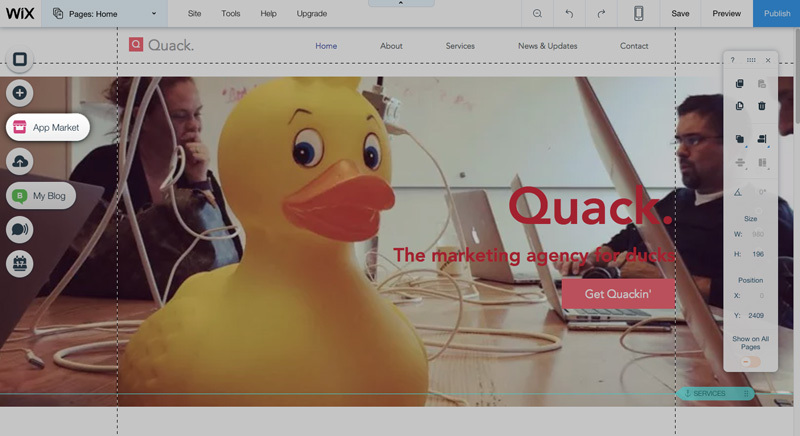 Bring up your website in the Wix editor, and click the "App Market" button from the left-hand menu. 4. 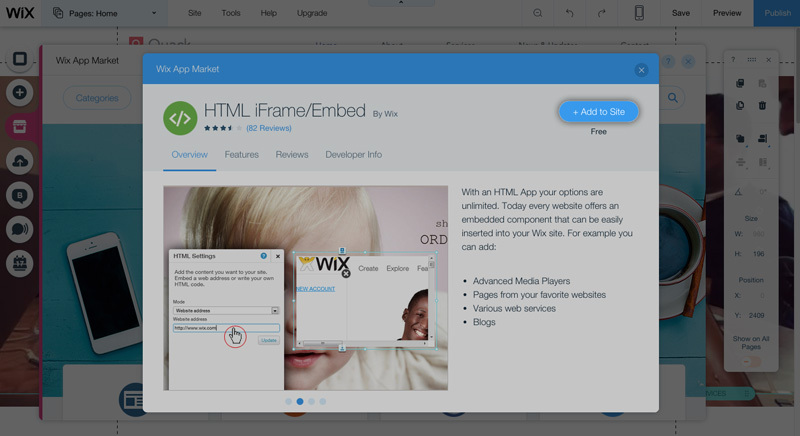 In the Wix App Market window, search for the term "iframe" and click on the search result "HTML iFrame/Embed." 5. 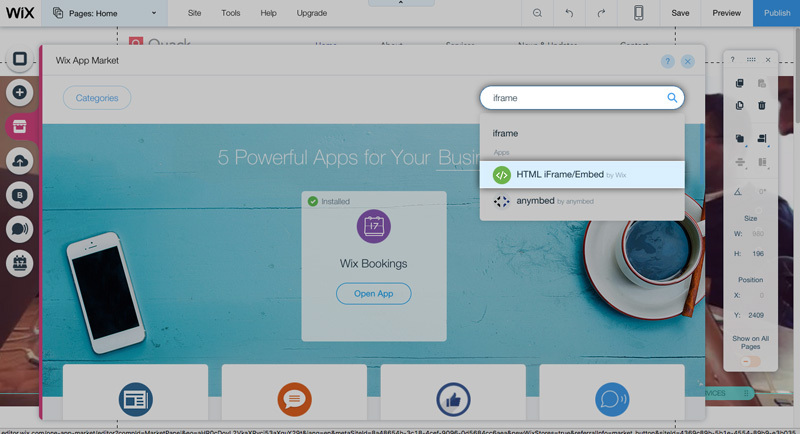 In the details window for HTML iFrame/Embed, click the button "+ Add to Site". 6. A grey box will appear on your website. Drag and drop it into the relative position where you want your Booking Page to appear (and use the grey box handles to change its shape and size). When you're satisfied, click the "Enter Website Address" button that's hovering in the top left, above the grey box. Here you will paste your Booking Page URL that you copied in Step 2. 7. Your Booking Page will load into the iframe. Make any adjustments to your iframe's shape or size, and when everything looks good, save and publish your changes.